Magic Money is a network of customized apps that work in tandem with RFID technology-enabled wristbands and the Clover Point-of-Sale (POS) system that eliminates time-consuming ticketing through the implementation of virtual currency and for the first time gives carnival operators real time business insights into the performance of their rides, games and concessions. The Magic Money System is centered around RFID technology-enabled bracelets to load a virtual currency, ride safety inspections and auditing compliance. We partnered with Clover POS to enable the purchase and “loading” of balances onto the RFID bracelets. Admission to carnivals was done through paper ticketing, usually purchased with cash from a cash register and manually redeemed by ride agents as guests boarded a ride. Furthermore, payment for concessions and games relied solely on cash transactions with little centralized accounting leading to not only a poor customer experience, but a business problem for carnival operators who were left exposed to potential fraud through theft and under reporting of revenue. The ability to load a virtual currency on a RFID technology-enabled bracelet that can be used to purchase food and concessions at the fair. 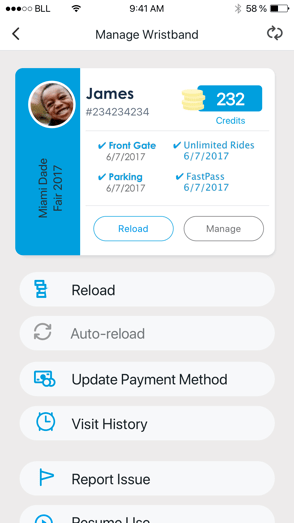 In addition, Magic Money leverages the same RFID technology to revolutionize the safety inspection process at carnivals as electronic auditing and inspection via RFID wristbands provides a greater degree of transparency, eliminates errors, and increases compliance for all ride operators at the carnival. 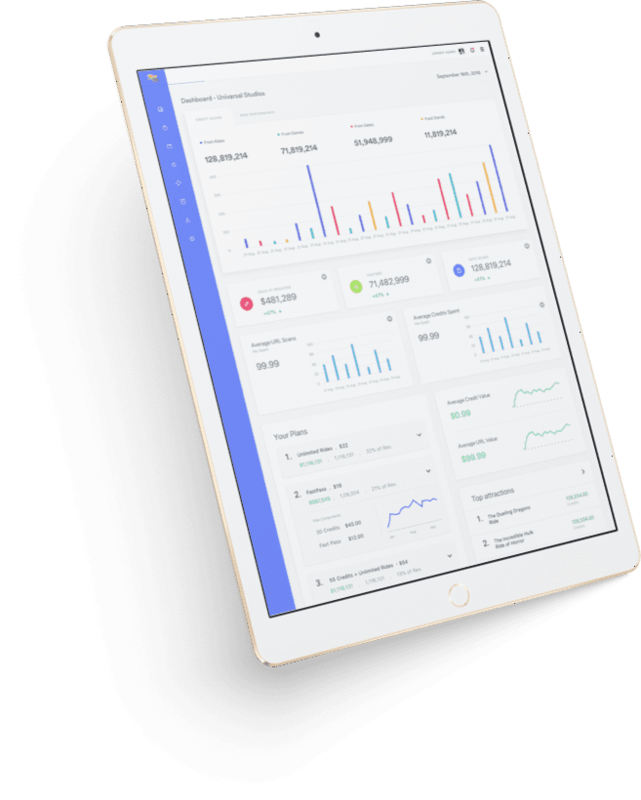 Finally all of the systems converge in a powerful web-based dashboard that gives carnival operators real time visualization and insight into all revenue generating aspects of their fairs. 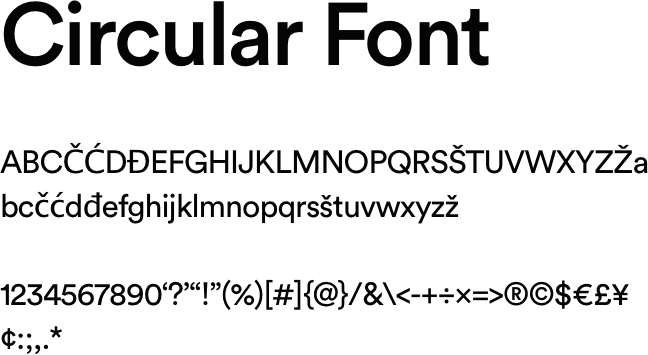 Designing a simple and flat UI/UX for guests and ride agents. We tried to deliver a demographic orientated design language fit of all age groups. 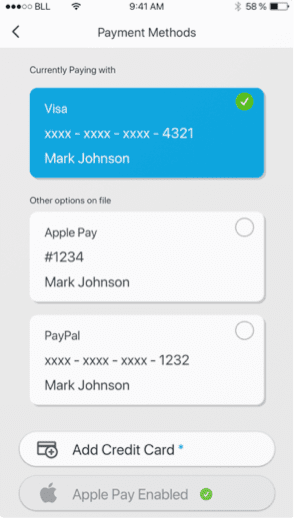 Add and select payment methods–including credit cards, Apple Pay and Google Pay. 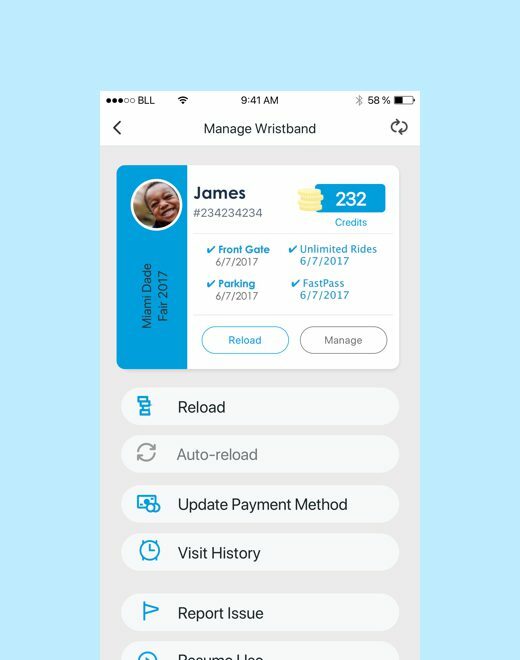 Carnival/fair-goers are able to use the iOS and Android mobile apps to manage payment methods and reload funds onto their RFID wristbands. Carnival/fair-goers are able to check the balance on their RFID wristbands and add funds with ease. 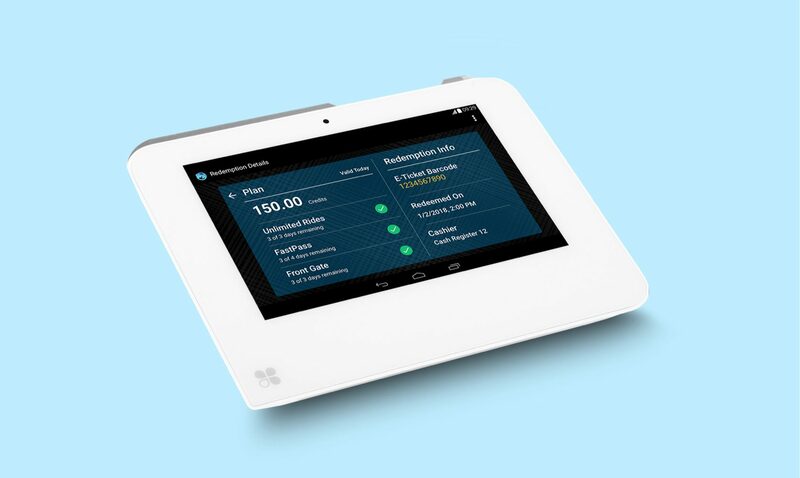 After researching many tablet based POS systems, the Blue Label Labs team helped the Magic Money team to choose the Clover POS system to serve as the cash register component of the Magic Money virtual currency solution. 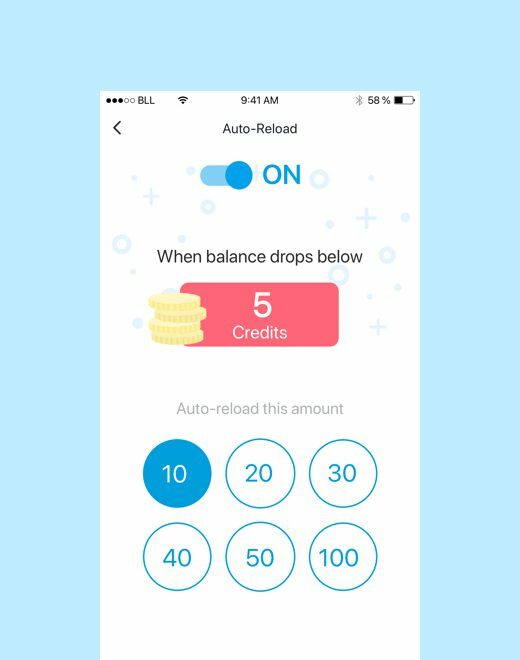 One of the primary challenges that the Blue Label Labs and Magic Money teams faced was choosing the right Point-of-Sale (POS) solution that could enable the purchase and “loading” of virtual currency balances onto the MagicMoney RFID technology-enabled bracelets. 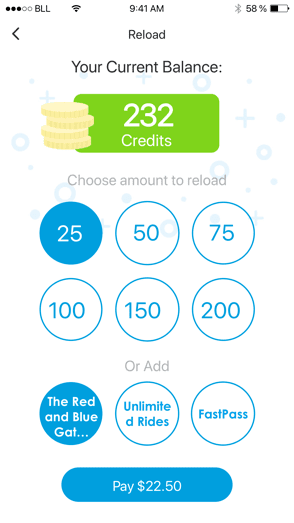 Leveraging Clover’s robust Android-based app marketplace environment, the Blue Label Labs team built a POS app for the Clover device that integrated directly into the main Register app of the Clover device to create a seamless experience for carnival cashiers to sell and load Magic Money wristbands with virtual currency. In delivering the Clover POS experience for Magic Money, the Blue Label Labs team had to overcome the technically difficult challenge of integrating a third party RFID technology-based reader into the Clover’s sandboxed Android execution environment. Our comprehensive RFID technology-backed system facilitates the guest experience from event parking and entrance to purchasing food, playing games and choosing rides. 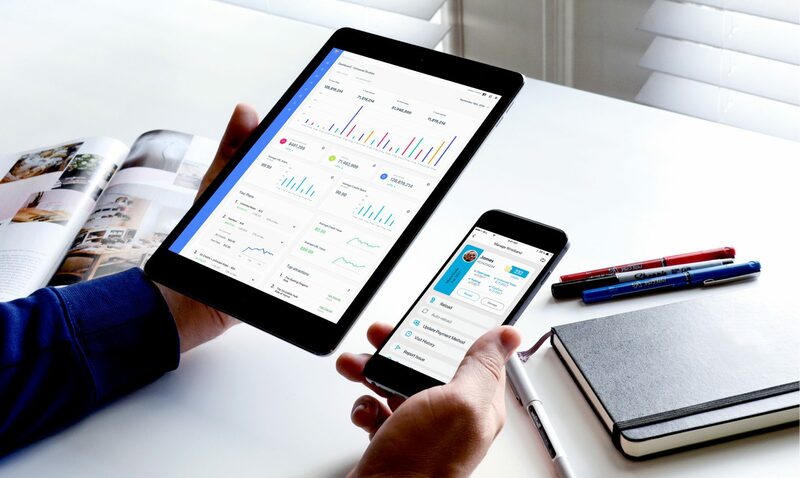 Leveraging cloud technology provided by Amazon Web Services, the Blue Label team created a virtual currency app that could scale up to handle thousands of concurrent users on the Guest mobile apps and Clover POS app and scan volumes that reach into the millions on a daily basis. The Magic Money web portal was a central point of management and reporting that used real-time event data to provide carnival operators a never before seen look into the health of their operation. 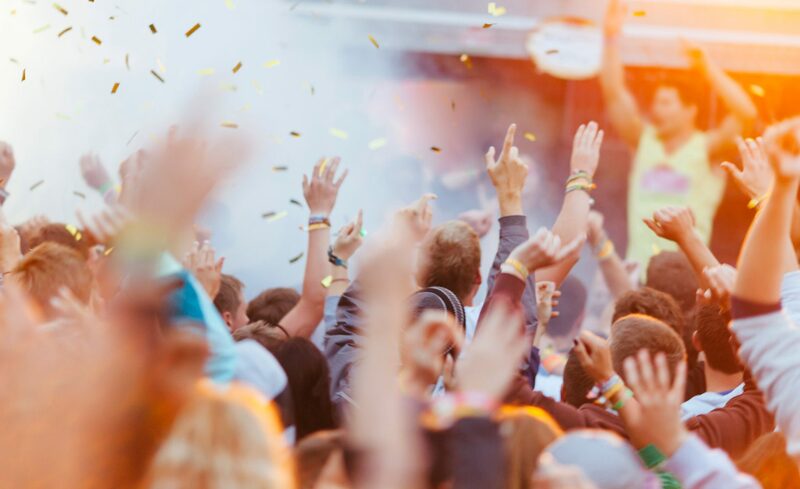 Magic Money leverages the same RFID technology to revolutionize the safety inspection process at carnivals as electronic auditing and inspection via RFID wristbands, providing a greater degree of transparency and reliability. 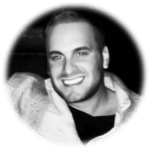 After only 6 months, Magic Money demonstrated its revolutionary potential as virtual currency that handled all ticketing, gaming, and concessions the Miami Fair earning accolades from guests and carnival operators alike. 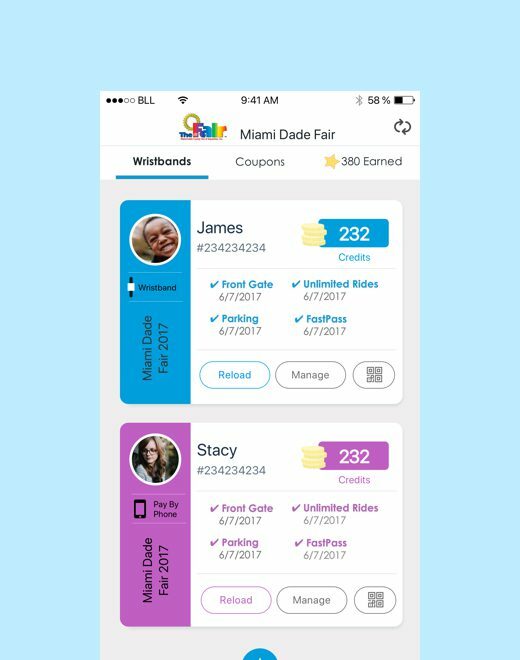 With over 150 rides and four million visitors successfully scanned, the success of Magic Money at the Miami Fair demonstrated that the Magic Money team was poised for incredible business growth with this RFID technology-backed product.